The bare soil in the rectangular plots of rice fields is a sign that autumn is underway, and these pockets of open space make two contrasting predications of the future. One is about the bleakness of the winter ahead. The stooping, gold rice, for so long a major part of the landscape, disappears like a light turned off. The vibrant plant life is reduced, and the mud that remains turns the town a darker color. Leaves fall from trees and mix with the straw remains of rice. This is the second predication, for as the soil is overturned and nutrients return to the earth, there is a promise of rebirth. The structure of the fields is almost unchanging, the soil is consistently fertile, and the townspeople prepare for the bleak days ahead with practiced motions. They know how to survive Shiwa’s winter. Watching it all, you can believe the spring will come again. 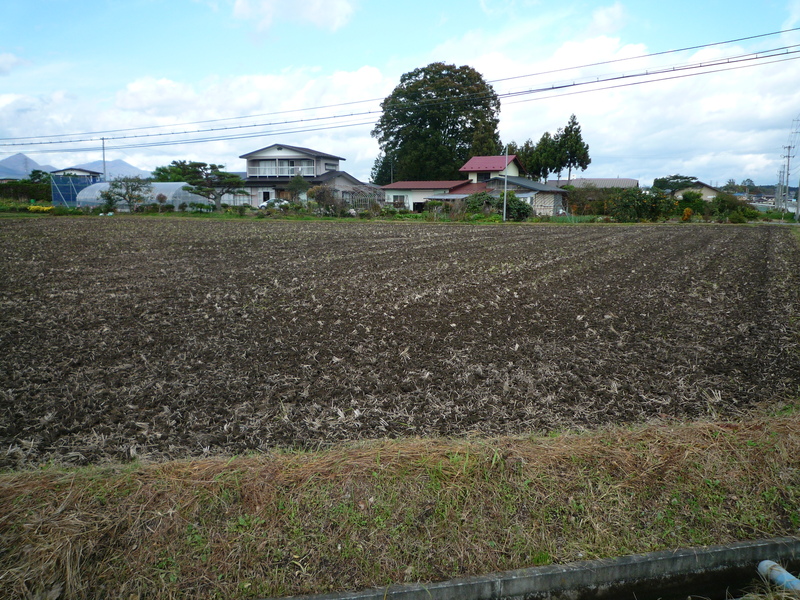 This entry was posted in Autumn, Open Space, Rice fields. Bookmark the permalink.